The generosity of our private supporters plays a vital role in making sure the Festival continues to present an arts and entertainment program each January that celebrates summer across Sydney, enriching the lives of the city’s residents and visitors. The program offers a variety of benefits including priority booking, VIP access and exclusive event invitations. 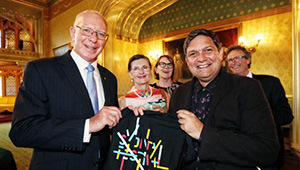 Interested in joining Sydney Festival’s philanthropic program?